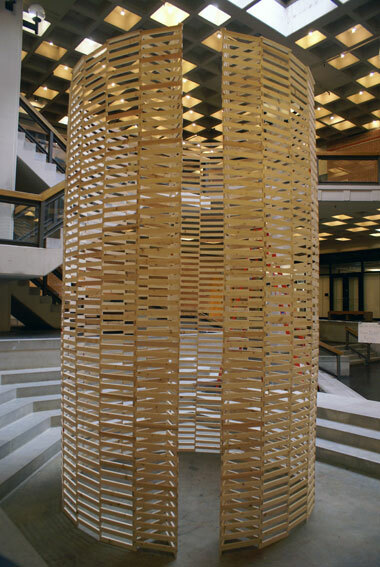 Wood, Paper & Fibers, The Art Gallery, University of Maryland, USA. 26th January - 9th March, 2012. 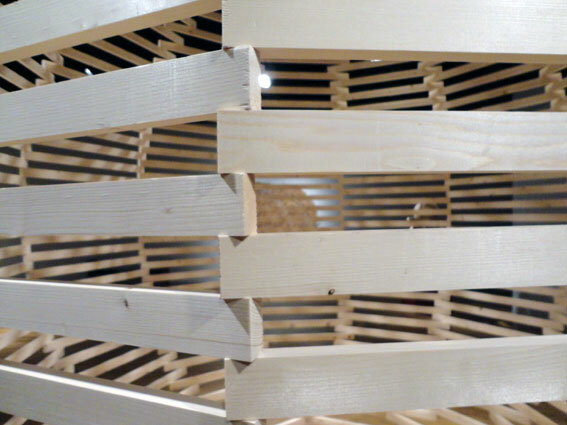 Untitled # 156, pine, dimensions variable, 2012. This was a group exhibition curated by the artist Foon Sham. The exhibition focused on transformative materials that transend their elements and captivate the viewer. 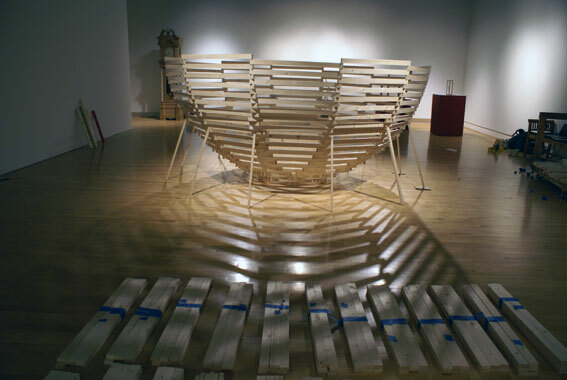 The exhibition included works by Ben Butler, Chris Gilmour, Drew Goerlitz, Brain lee, Pilar Ovalle, and Millicent Young. 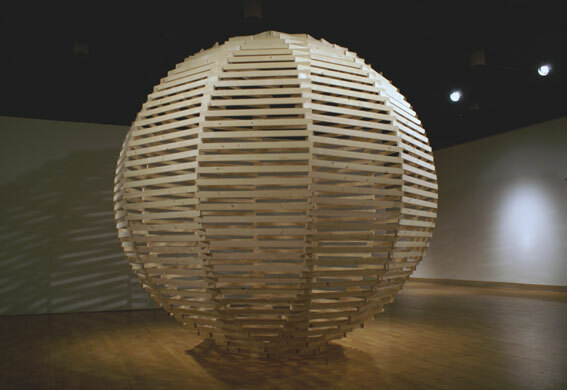 Aeneas Wilder presented two works for this exhibition, a stacked sphere, made from wood and a second stacked structure, a column, made from slavaged wood found on the campus of the university. 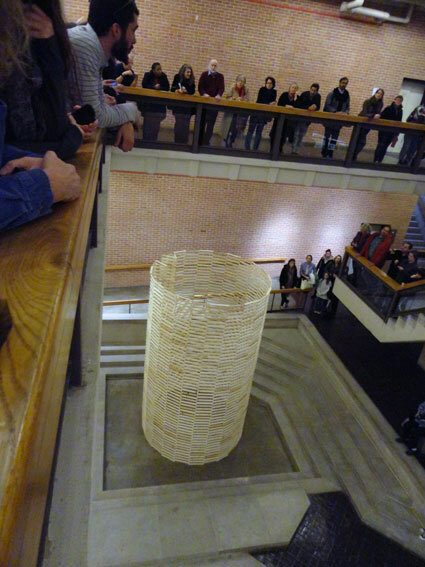 This column was collapsed as a public performance at the start of the exhibition.